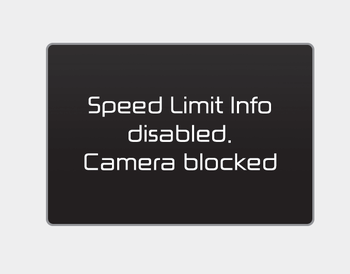 The message will appear when camera’s field of view is covered by some objects. The system stops until the field of view is normal. Check the windshield around the camera view area. If the system does not work normally even though camera’s field of view is cleared, we recommend that the system be checked by an authorized Kia dealer. 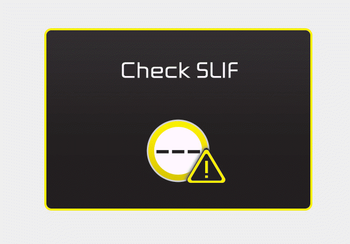 When SLIF is not working properly, the warning message will come on for a few second. 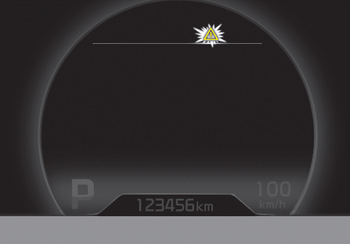 After the message disappears, the master warning light will illuminate. The system may not fully operate and provide correct information in the following situations. Traffic signs are positioned on sharp curve. Concealed traffic signs by other vehicle. There is glare around traffic signs by low sun in the sky. There is insufficient illumination of the traffic signs in the night. There is bright lights around traffic signs. There is dirt, ice or frost on the windshield in the area of the camera. When camera field of view is covered by objects such as a sticker, paper, leaf fall. When navigation system has malfunction. When bus or trucks attached with a speed sticker are passing you. When you are in area or countries where navigation system is not covered. When a navigation system not updated latest map version.